Our Swedes have the next week or so off so the blog is going to be pretty quiet, so I decided that we might like to add a new feature- Month in Review. Now I don't promise that this will happen every month but I thought I might try it out and see the reception it gets. Anyway, let us look back at the outfits Victoria wore this past month. On March 4th, Victoria was supposed to undertake a visit to Östersund, but she was sick and pulled out after the morning. For this visit the only articles identified were her By Malene Birger scarf and her blazer she wore underneath. On March 9th, Victoria was back to work this time holding an audience at the Royal Palace. For this she wore a dress she debuted last year and it sadly has not been identified. She paired this with a Chanel clutch, new Tabitha Simmons heels, and her favorite Krueger Jewellery earrings, necklace, and ring. On March 12th, Victoria and Estelle attended the celebration of Victoria's Name Day in the Palace Courtyard. For this Victoria matched Estelle in her purple Prada coat over her By Malene Birger Blazer. For her accessories she wore earrings from Charlotte Bonde and a necklace from Carolina Gynnings. 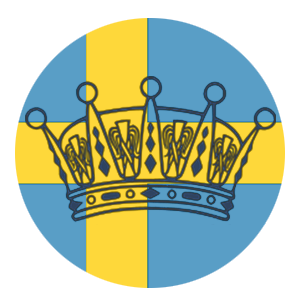 The following day, March 13th, Victoria attended ICC's Annual Meeting in Stockholm. For this she wore her Greta top from a few years ago and carried a bag from Hunkydory. I am wondering if her skirt is from By Malene Birger but due to the lack of photos we have from this event I cannot say for sure. They have a leather skirt in their latest collection so I do suspect it could be from them. On March 20th, Victoria attended the Royal Academy of Science's meeting and wore her gown from Pronovias gown and her hair accessory from Jenny Packham. On March 21st, little Desiree Magnusson was baptized in Stockholm. For this Victoria rewore her COS dress underneath a brown jacket. (Note: I originally reported that this coat was from Prada but now after seeing a zoomed out photo of the label we suspect that it is not) Her bag is from Tod's and shoes from Tabitha Simmons. On March 23rd, Victoria and Daniel began their visit to South Korea. For the first outfit of the day Victoria wore a top from Mayla. For her 2nd outfit of the day Victoria wore her blue Prada coat (not pictured here) over a new blazer that remains UFO. She also carried her white bag from Ralph Lauren. Victoria finished the final engagement of the first day in South Korea with a new dress from Mayla and shoes from Tabitha Simmons. I believe those earrings are from Charlotte Bonde but I am unsure still. For the beginning of day 2,March 24th, Victoria wore her Fadi el Khoury coat paired with a skirt from By Malene Birger. Her shoes are also from By Malene Birger and paired that with a necklace from Sophie by Sophie and earrings from Krueger Jewellery. For her 2nd outfit of the day, Victoria wore her dress and shoes from Dolce & Gabbana that she originally debuted at Leonore's baptism. For their final day in South Korea, March 25th, Victoria started the day by wearing her coat from Gant over a new dress from Ralph Lauren. She paired this with earrings from Ebba Brahe, her bag from Ralph Lauren, and Yves Saint Laurent heels. For the second and final outfit of the day and trip, Victoria wore a new top from By Malene Birger and I suspect again the skirt is from them as well. Her necklace and earrings are from Kreuger Jewellery and her shoes are from Tabitha Simmons. For her final appearance in March on the 30th, she and Daniel hosted an audience at the Haga. For this Victoria wore a blazer from Hunkydory and a top recently identified on Facebook to be from Opullence. Her necklace is from Sophie by Sophie. Overall this month Victoria played off a lot of monotones and there were no real big surprises besides the few photos of hair down. I would most certainly say her favorite shoes of the month are from Tabitha Simmons and pictured below. But other than that she did not favor any piece in particular. She stuck to her usual brands and had a good mix of new and old pieces. What was your favorite outfit this month? Which was your favorite outfit?